Low levels of adult literacy in Manitoba are a barrier to full participation in our society. Easily accessible supports, located in low-income communities are needed to address this challenge, a new study finds. In 2013 one in six Manitobans had literacy levels so low that they could not participate fully in life. Literacy costs our society. Low literacy rates impact people’s ability to access health care. People with low literacy are more likely to be on social assistance or incarcerated. Women with low literacy who are primary care givers of children, struggle to read to their children, making it difficult to break intergenerational cycle of poverty. Aboriginal people are more likely to leave school before grade twelve and require literacy supports as adults. Refugees may arrive from countries where basic education was not possible, requiring access to literacy programming. 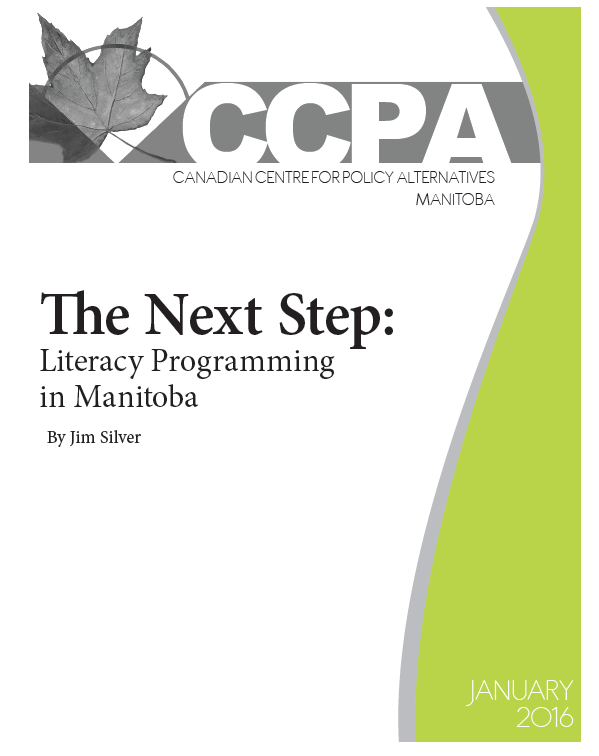 The Next Step: Literacy Programming in Manitoba, by Jim Silver finds that the national policy framework established to support adult literacy was dismantled in the mid 2000s, cutting core funding to national literacy organizations and redirecting money to training and job readiness. But if people do not have basic literacy skills, they cannot participate in job training programs. Literacy for family, social or political participation is no longer the focus. The report chronicles the provincial approach to literacy, finding that while investments are being made, there is unmet demand for adult literacy programs that are easily accessible to those in need. Funding for existing programs is on the decline and less students are graduating than ten years ago. The report calls for funding for decentralized, community-based literacy programming that take a long-term approach. It takes time for people in low-income communities to develop the degree of trust, self-confidence and self-esteem needed to succeed in literacy and to pursue other opportunities. The report is funded by the Social Sciences and Humanities Research Council, Manitoba Research Alliance Partnering for Change – Community-based solutions for Aborigianl and inner-city poverty.